CampusTours Inc. offers more than fifteen (15) years of experience video production, panoramic image development and virtual reality creation services. Our video and panoramic tours have won multiple awards and we are always striving to create more compelling multimedia. Quality video production from script writing to schedules to teleprompters, greenscreens and active lighting - CampusTours delivers! 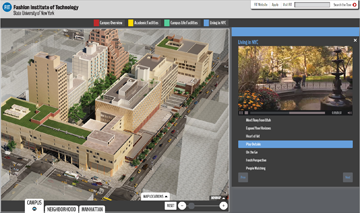 Whether using standard VR or MatterPort True3D&TRADE;, CampusTours can help you add VR to your map or tour. 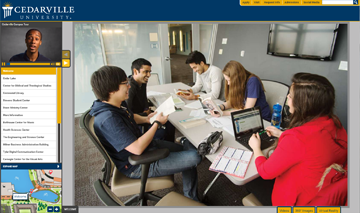 CampusTours trusted professional team will help you plan, script and deliver your multimedia story. Guided tour videos, b-roll, foreign language video tours, walking tours, promotional videos etc. 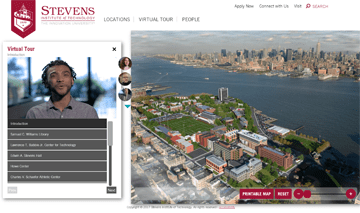 Stevens employed CampusTours to develop a photorealistic map, video tours and 100+ unrehearsed student commentary videos. 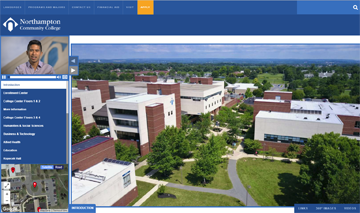 Villanova University relied on CampusTours to craft their virtual tour and conduct custom videography and student, faculty and staff commentary video production. 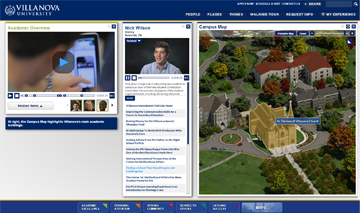 CampusTours helped FIT build a virtual tour and interactive map system with tour videos that convey the passionate, hands-on nature of the institution. Northampton Community College worked with CampusTours to develop guide videos for their WalkingTour, as well as a Spanish tour version. 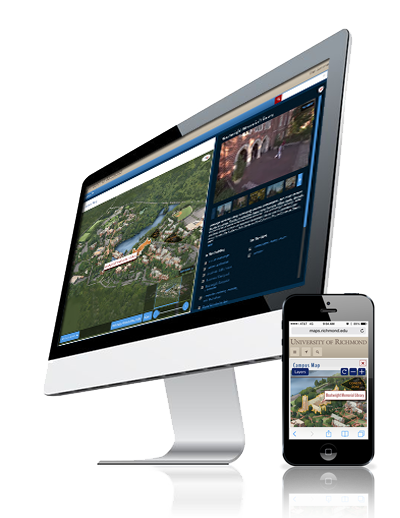 The Cedarville University WalkingTour includes customized guide videos, panoramic images and Google Cardboard Virtual Reality scenes. 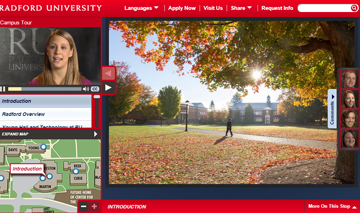 Radford University and CampusTours developed a WalkingTour which includes valuable student commentary videos.